*Side note: I highly recommend reading this article about how Tweedy built up the Wilco enterprise. Wilco is a rare example of an indie band that’s been able to successfully tread the line between business and art. 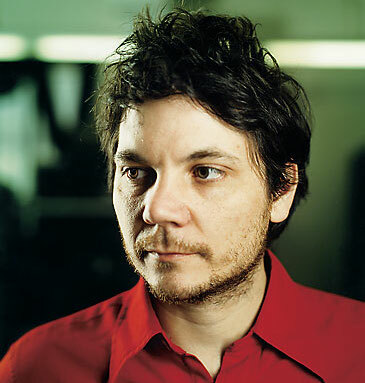 Jeff Tweedy is one really smart dude, and I think a lot can be learned from his business model. Anyway, when I heard Tame Impala’s “Elephant” in a Blackberry commercial earlier this year, I was definitely surprised. Mostly, though, I thought it was so cool that Tame Impala — an insanely talented band that I think more people should know about — was being featured in an ad campaign for such a huge brand. The commercial put Tame Impala out there for more people to discover, and to me, that’s great. Think about it this way: Why wouldn’t you be in support of musicians making the money they need in order to make more of their art? I want my favorite bands to get noticed. I want them to be successful. I want them to make a comfortable living and keep touring and put out more records. If all of this means putting their music in a 30-second spot (given that it’s done tactfully), so be it! The issues raised here bear a lot of similarity to what I witnessed at a New Hampshire indie film festival I went to last month (for my Media & Society class). At the festival, we sat in on a panel about indie film acquisition, distribution, and marketing. During the Q&A session at the end, it quickly became apparent that many of the audience members were disgruntled indie filmmakers who hadn’t seen much success on the money-making front. They drilled the panelists about how it’s possible for an indie film to be profitable. So, this makes me curious as to what other profitable models — besides ads and the like — exist for indie musicians during a time when online streaming platforms like Spotify, Pandora, and Soundcloud are taking over the game. It’s clear that with music available for free online, surviving solely on record sales is a thing of the past. We’ve just started to see bands adjust to this reality. I honestly think it’s going to take a complete restructuring of record labels in the long run, but I have no doubt that, for the time being, bands will come up with other innovative ways of sustaining themselves.